Fall is here! Which means Wine Wednesday is now upon us! 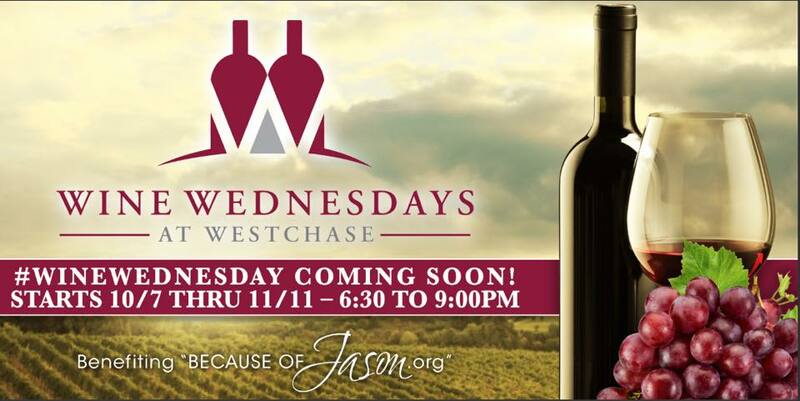 For the next six (6) weeks we will be hosting Wine Wednesdays at Westchase form 6:30 to 9pm at the Shoppes of Westchase off of Linebaugh! For just a $10 donation you will receive a stemless wine tasting cup compliments of Bill Currie Ford and event tour card which will guide you to five (5) 2oz. beverage tasting stations and a multitude of food sampling stations! An experienced volunteer staff will be there to greet you with fun, themed entertainment scheduled each week! 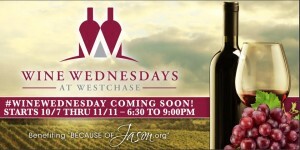 Looking forward to WINE’ing with you on Wednesdays all … Because of Jason!! Ackerman Jewelers Holiday PreviewWhy we do, what we do.